Dr. Tasha Stanton visiting the MIRAGE lab! Dr. Tasha Stanton from the Body in Mind group Australia recently visited the Mirage lab. The aim of her visit was to come up with some new and exciting illusions to take back with her to Australia. Her and Roger spent days in the lab trying to build these illusions and we hope that they are ready to be used in research soon! Fortunately there was also a bit of time to relax after all the hard work, and what better way to do this than by having a glass of wine (or two?). 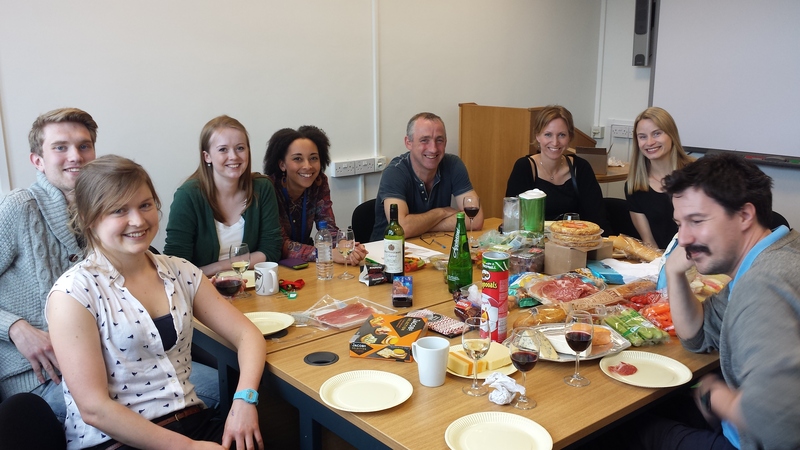 This picture was taken in the department where we organised a wine tasting especially for Tasha (though we didn’t mind it either! ).